Welcome to Chi Lambda Lambda Chapter of Omega Psi Phi Fraternity, Inc.! Founded in December 2004, Chi Lambda Lambda has made a significant impact in the South Suburbs of the Chicagoland Communities. Chartered in Matteson, Illinois, Chi Lambda Lambda has established Mentoring Programs from Harvey to South Holland, Illinois. Every year, we have been able to feed those with the most need in these communities with our “Turkey Basket Day”. In 2010, a devastating earthquake rocked Haiti, Chi Lambda Lambda mobilized the Chicago Area Omegas and other community organizations, and along with New Faith Baptist Church of Matteson, sent over 2 tons of food and needed goods to Haiti within a week. in 2011, when Tornadoes tore through Alabama and the surrounding states, Chi Lambda Lambda mobilized a relief drive with New Faith and Clintex Labs, and provided food, clothes, and necessary items to the effected communities with the help of the Alpha Chi and Alpha Tau Chapters in Alabama. Whether it is providing Uplift for those who need it most, or a Scholarship drive for high school and college students, or designing the Centennial Oracle Cover, Chi Lambda Lambda is constantly in motion to make in impact in the South Suburbs of Chicago and Omega Psi Phi Fraternity, Inc.
Brothers of Omega, Feel free to join us every second Saturday of the Month, at 9am at Chapter Meeting, and you will be able to experience the “Legendary” Chapter Breakfast prepared by Brother Kenneth Taylor (’75 BE). Meetings are at the Omega Center, 16958 Dixie Highway, Hazel Crest, Illinois. Live everyday, in the “True Omega Spirit," and let the Cardinal Principles of Manhood, Scholarship, Perseverance, and Uplift be your daily guiding light. Bro. 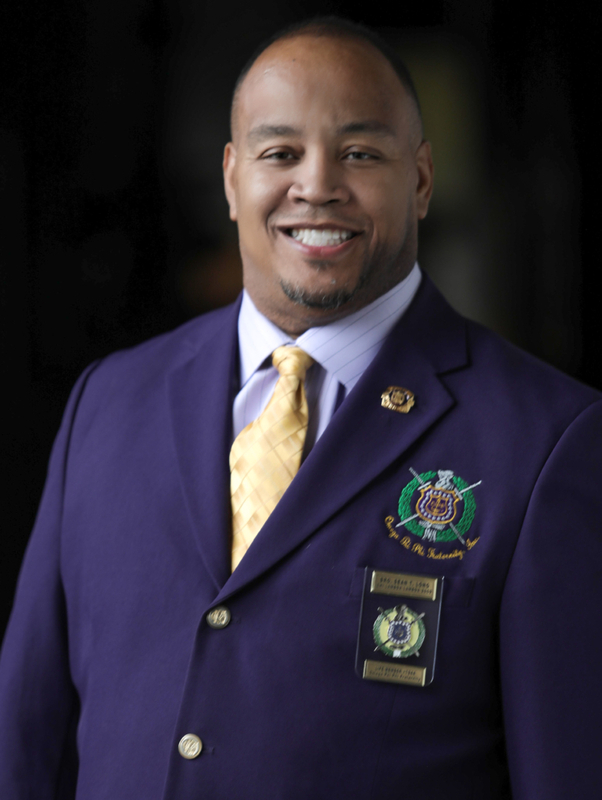 Sean T. Long, 10th District Keeper of Records and Seal, the 2017 Omega Man of The Year and 2018 10th District and International Superior Service Award Winner.